It takes most jackpot winners years of playing the lottery before they hit their big prize, but a gran from Blackburn won a jackpot after buying her first tickets! 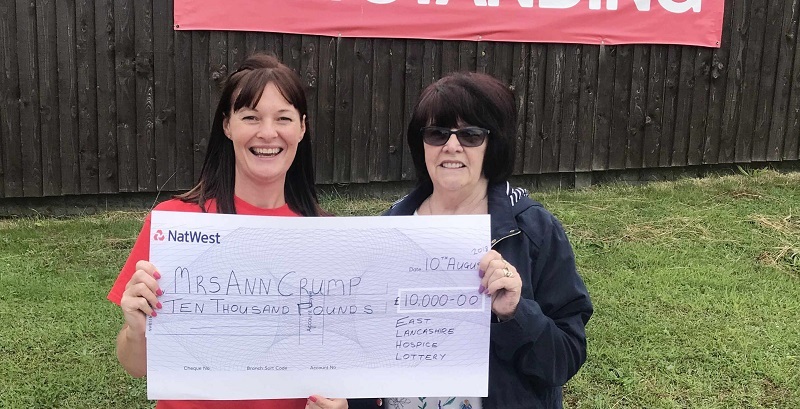 Ann Crump, aged 72, was left speechless after finding out she had won a £10,000 jackpot. She had recently joined a local hospice lottery syndicate and a call from the head of the syndicate less than four weeks after joining. Ann signed up with the syndicate after she was approached by a lottery agent visited her at home on the premise that a family member of hers was housed at the hospice. She had retired from her job as a playground assistant two years ago and has since been enjoying her retirement with her husband. They have not yet decided what they will be spending the money on but admit it will be a huge financial help. We've got an exciting cashback syndicate offer for our Giant Lottos players. Click here to find out how you can get tickets. Players can now get their tickets for the year's biggest raffle! Get your El Gordo tickets now by clicking below to play for £2 billion in prizes. Have you missed that big draw that everyone bought tickets for? Check out our dedicated results page for the results from all our biggest lotteries. Want the edge on your competition? Take a look at our lottery winning tips and see how you can improve your odds of winning.